President Trump is meeting with Japanese Prime Minister Shinzo Abe at the president’s Mar-a-Lago estate in Florida on Tuesday as the two are slated to engage in talks on developments in the Korean Peninsula and other bilateral matters. The latest meeting between the leaders comes ahead of expected summits between North Korea and the U.S. and South Korea, and as the Koreas are reportedly set to declare an end to their decades-long war. “They have my blessing on that. … they do have my blessing to end the war,” Mr. Trump said, noting the war isn’t over yet. Mr. Trump said the announced meeting with North Korea is “coming along,” although no location or time has been announced yet. The president said that meeting will happen “probably in early June” or before that if things go well, but conceded the meeting might not happen at all. At the moment, Mr. Trump said the U.S. is considering “five locations” for such a summit. Seated beside Mr. Trump, Abe said he commended the president’s “courage” in deciding to meet with North Korean leader Kim Jong Un. 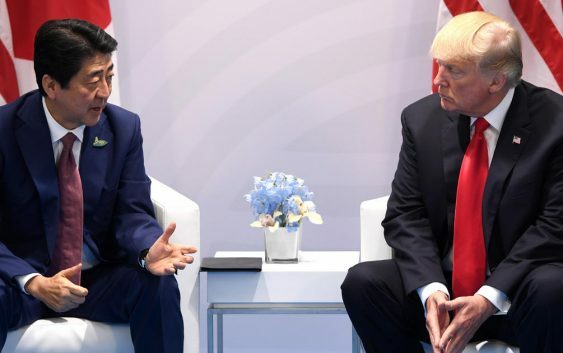 “I hope to thoroughly discuss North Korea and other issues of mutual interest between Japan and the U.S.,” Abe said at a meeting of representatives from his ruling coalition and the government earlier this month. Mr. Trump insisted many foreign leaders have “requested” to meet at Mar-a-Lago, instead of Washington. “Many of the world’s great leaders request to come to Mar-a-Lago,” the president said. “Now indeed it is the southern White House,” Mr. Trump said. “The two leaders will discuss the international campaign to maintain maximum pressure on North Korea in advance of President Trump’s planned meeting with North Korean leader Kim Jong Un. 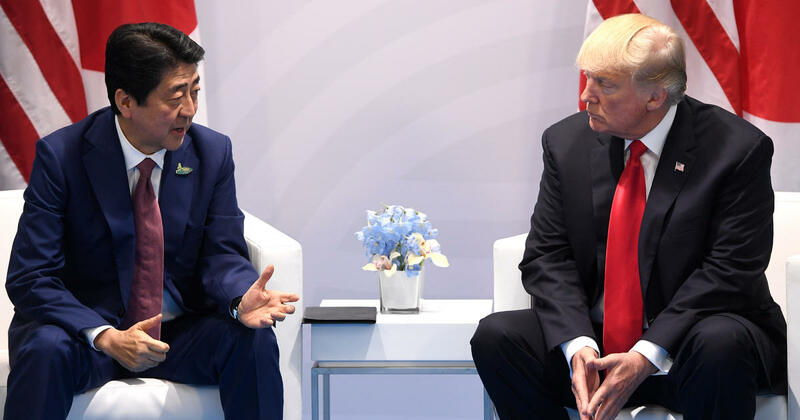 President Trump and Prime Minister Abe will explore ways to expand fair and reciprocal trade and investment ties between the United States and Japan, two of the world’s wealthiest and most innovative economies,” the White House added. Abe last visited Mr. Trump’s resort in February 2017, soon after the president took office. Mr. Trump has met with Abe more than any other foreign leader.